Sofi is wearing Moosegirl top, Winnie the Pooh pants and Pitterpat shoes. As a mom to my darling Sofi, of course I want her to look cute and fashionable too. That's why I always take advantage of sale season at SM Kid's department store where I can buy clothes for Sofi. 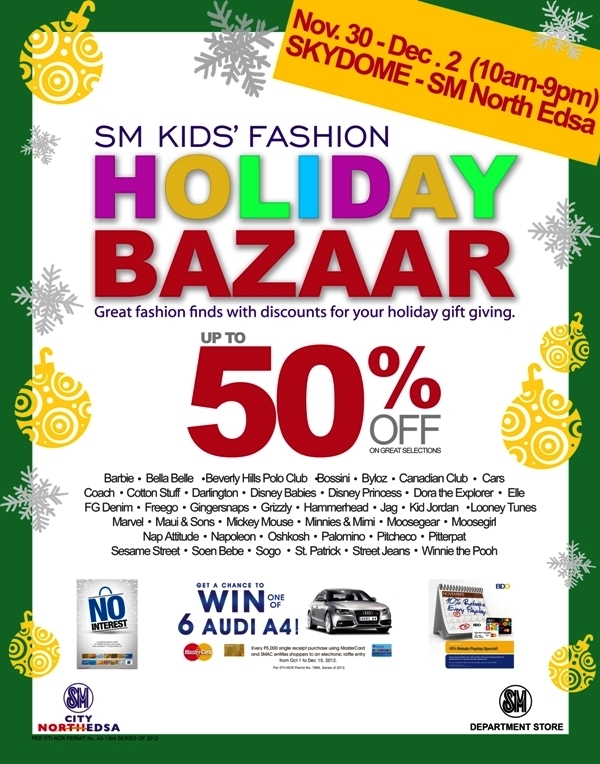 And I'm glad SM Kid's Fashion will be having a holiday bazaar and up to 50% OFF! 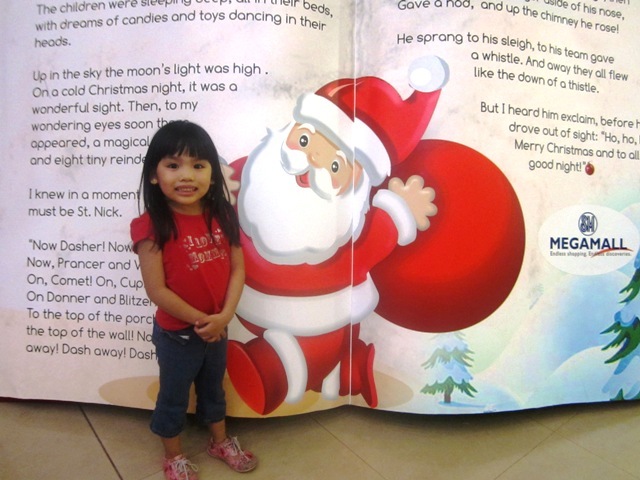 The festive holiday season is fast approaching and with it comes countless parties and events. In perfect timing, SM Kids’ Fashion is holding its first ever Holiday Bazaar on November 30 to December 2 and December 14 to 16, 2012. Families can enjoy up to 50% off on selected items, as well as a 0% interest for 6 months on all major credit cards for a minimum purchase of PHP5,000.00. Families who wish to start their Christmas shopping early to avoid the mad holiday rush are definitely in for a treat. The Holiday Bazaar is the perfect time to shop and plan the kids’ holiday outfits for all their upcoming parties, as well as pick out presents for godchildren or kids of friends and acquaintances. With a variety of participating brands including Barbie, Elle, Beverly Hills Polo Club, and Gingersnaps, as well as Moose Gear and Moose Girl, parents can indulge their kids to an array of fashionable choices and get in the spirit of gift-giving without breaking the bank. Time to get our little ones fashionably set for Christmas parties and other holiday events with chic ensembles from SM Kids’ Fashion. Visit the Holiday Bazaar on November 30 to December 2 at SM North Edsa Skydome and December 14 to 16 at the SM Megatrade Hall 2.